Georgia is a hospitality country with its ancient traditions, national color, foods, diverse wines, music and dance. 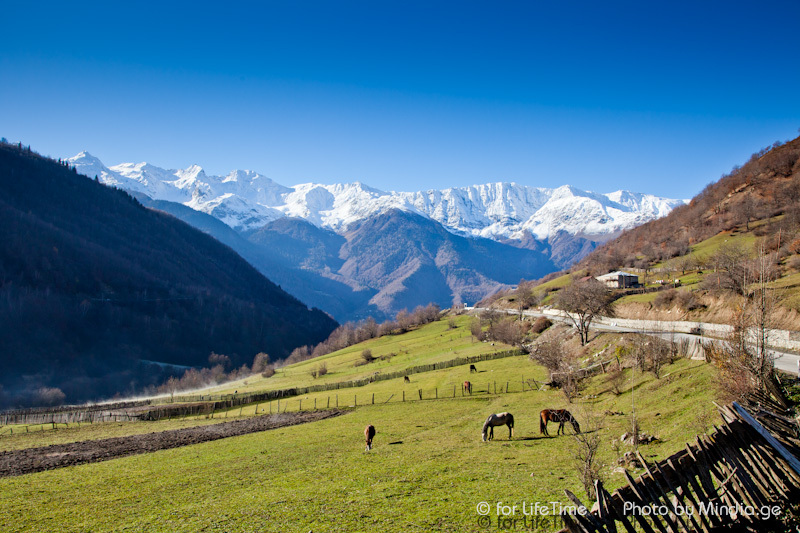 If your travel reason is love adventure, incredible beauty, the sea, waterfalls, lakes, mountains, parks, it is time to go to Georgia! 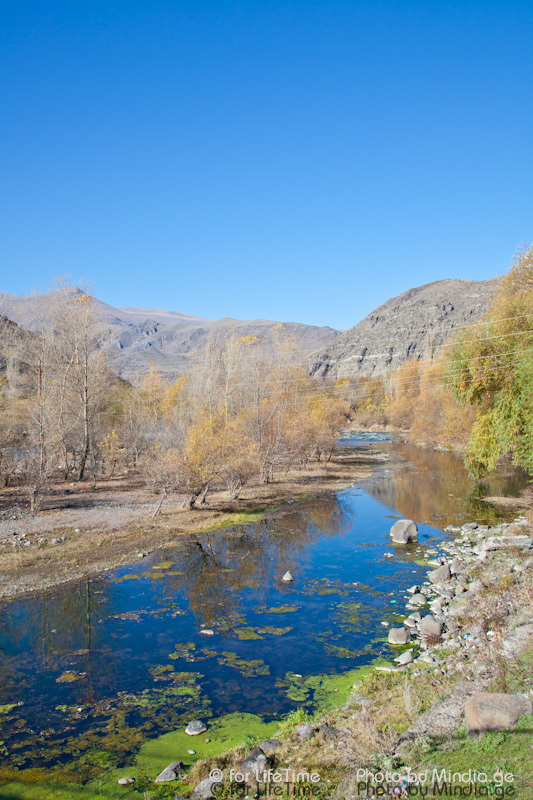 Medical and spa resorts – Borjomi, Akhtala, Sairme, Tskhaltubo, Shovi. 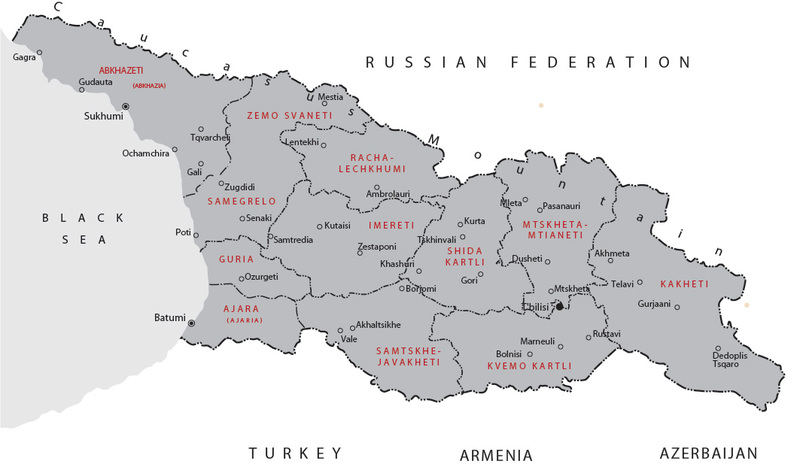 Georgia is located in the south-east of Europe and occupies the central and western part of the Caucasus. 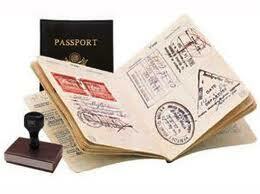 Bordered on the north by Russia, to the east by Azerbaijan, on the south by Turkey and Armenia. On the west by the Black Sea. Georgian cuisine can rightly be considered one of the main attractions of the country. Original and magically delicious, it absorbed the ancient traditions and secrets of cooking a variety of dishes. Once in Georgia, you can not only enjoy a truly rich and unique Georgian cuisine, but also the legendary Georgian hospitality. Georgian dishes absorbed the ancient traditions of many peoples. 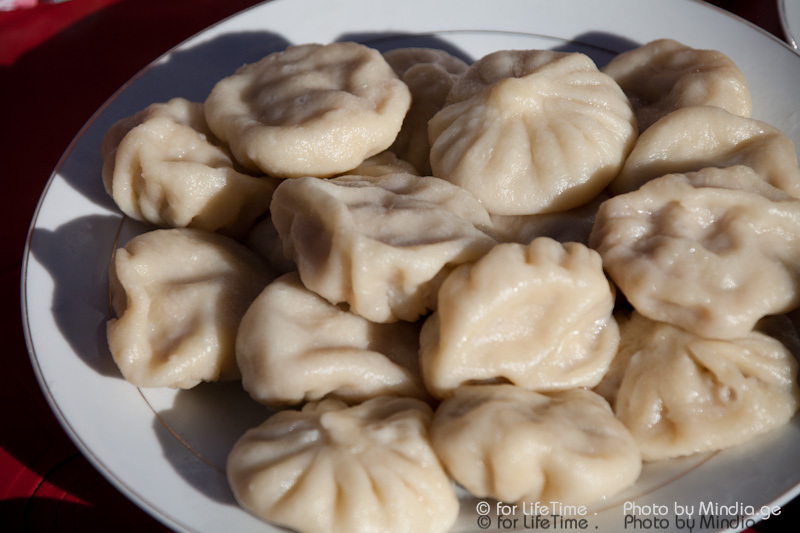 Each region of the country has made its own characteristics in all Georgian dishes. The basis of the kitchen is a wide variety of products from meat to greens. Bread ("puri", "shoti") is an essential part of the meal. In some parts instead of bread is served thick maize porridge "gomi" or various khachapuri. In the west- subtropical, in the east - the transition from subtropical to temperate. Georgia's favorable climate for year-round recreation and treatment, the nature of pets constant abundance of fresh fruits and vegetables. The best season to stay in Georgia is the period from late April to late October. Georgia can get to direct flights from Kiev, Moscow, Amsterdam, Prague, Frankfurt, Paris, London, Athens, Istanbul, Tel Aviv, and many capitals of the CIS. Organizer airline companies are - Georgian Airways, Austrian Airlines, British Airways, Turkish Airlines, KLM, Lufthansa, etc. 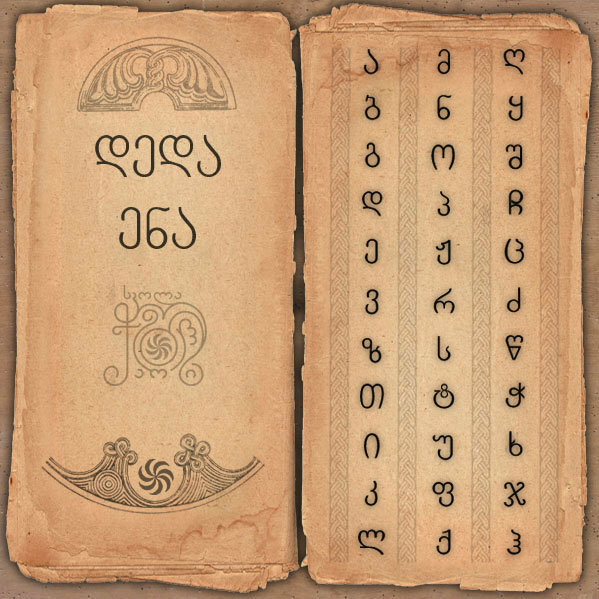 Official language is Georgian. To communicate with foreigners adopted English. The majority of the population understands Russian. Georgian currency - Lari (GEL) to 100 GEL. 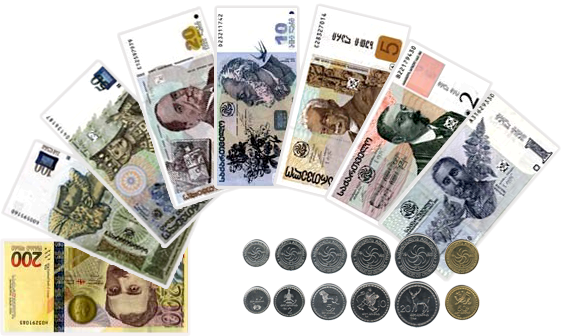 In circulation are banknotes in denominations of 1, 2, 5, 10, 20, 50 and 100 GEL. Banks are generally open on weekdays from 9.00-9.30 to 17.30-19.00. Pay "credit card" can be in hotels, large restaurants and shops, but not all, so you should always have some cash. Shops are usually open from 9.10 am to 06.07 pm, many modern shops Tbilisi followed by 12-hour operation, from 9 to 21 or from 10 to 22, and the supermarkets are often open around the clock. Markets and fairs are open from 06.05 am and close early in the afternoon. 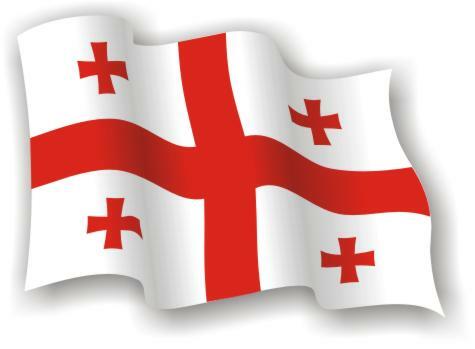 Of Georgia can bring national daggers, homespun rugs and carpets, gold and silver jewelery with semi-precious stones (both modern and ancient), richly decorated containers for wine (glass, clay, or horn), national dolls, clothes - embroidered shawls , leather shoes, accessories, ceramics and enamel. Deserve close attention tasty souvenirs - Georgian wine and brandy, grape vodka "Chacha", cheese and spices. 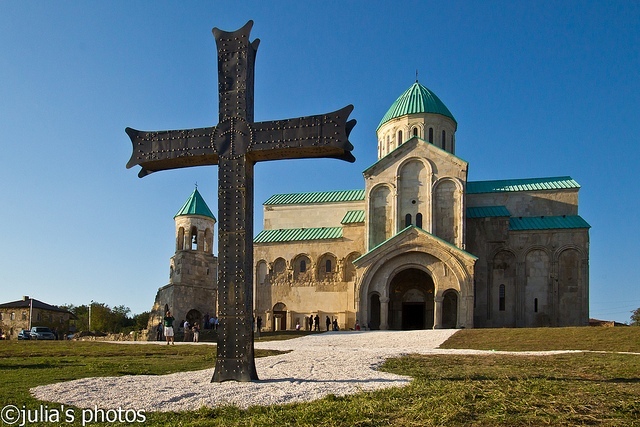 In Georgia the most popular resorts are Batumi, Kobuleti, Bakuriani, Gudauri, Svaneti ,Kutaisi, Borjomi and Tbilisi(capital of georgia), very interesting and famous places ,depend visiting of tourists are the Monastery of St. David's, built in the VI century, also recommended to visit the Sioni Cathedral, built in the V century. And, of course, famous Georgian museums that hold you the history of this complex, but friendly people.